Purchase this product now and earn 4,478 Reward Points! 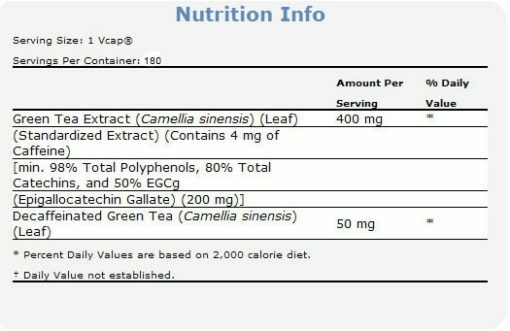 Green Tea Extract contains numerous compounds, including Polyphenols and Catechins, that provide potent antioxidant benefits. 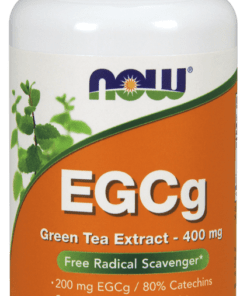 One capsule of NOW® Green Tea Extract with 200 mg EGCg posesses the phytonutrient content equal to about 2-3 cups of green tea. Suggested Use: As an herbal dietary supplement, take 1 Vcap® 1-2 times daily, preferably with meals. 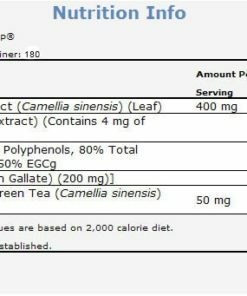 Polyphenols, especially catechins (including EGCg), are the main active ingredients in green tea, which act as antioxidants and bind iron, which may prevent some iron-dependent inflammation. Less than 1% caffeine content, naturally occurring (versus one cup of green tea’s roughly 40 mg. of caffeine). There should be only around 3 mg. of caffeine, per capsule. Highest dose in one capsule. 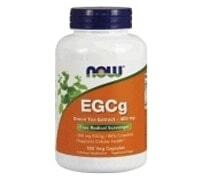 One capsule contains as much EGCg as about three cups of green tea. Green tea may correct cholesterol imbalances by raising HDL and lowering LDL cholesterol, while preventing LDL from oxidizing. Oxidized cholesterol is a key risk factor for cardiovascular disease. Green tea may also be a mild anticoagulant, or “blood-thinner”. Green tea has been shown to help maintain levels of desirable intestinal bacteria. AMOUNT TO USE: One or more Vcaps® a day, preferably with meals. Three to four capsules would provide about the same antioxidant benefits as ten cups of tea, an amount used successfully in some studies.